China joined the world’s top 20 most innovative economies for the first time while the United States fell out of the top five, according to the Global Innovation Index 2018. Switzerland is in the No 1 spot, followed by the Netherlands, Sweden, Britain and Singapore. The U.S. fell from fourth place in 2017 to sixth this year, while China jumped from 22nd to 17th in the rankings. This year, also among the top 10 innovative economies are the Netherlands, Sweden, Britain, Singapore, Finland, Denmark, Germany and Ireland. In this year’s survey, China ranked second in the number of science & technology clusters (16) after the U.S. (26), followed by Germany (eight), Britain (four) and Canada (four). Again, Tokyo-Yokohama of Japan tops the overall innovation cluster ranking, followed by Shenzhen-Hong Kong. Francis Gurry, Director General of the UN World Intellectual Property Organization (WIPO), said China’s ranking represented a breakthrough for its economy, which was rapidly transforming and prioritizing research and ingenuity. “China’s rapid rise reflects a strategic direction set from the top leadership to develop world-class capacity in innovation and to move the structural basis of the economy to more knowledge-intensive industries that rely on innovation to maintain competitive advantage,” Gurry said. 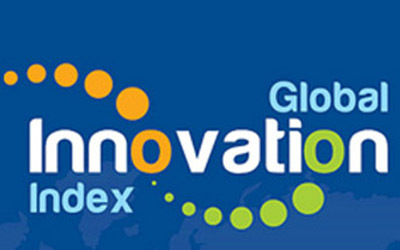 Now in its 11th edition, the index ranks 126 economies based on 80 indicators ranging from the creation of mobile applications to education spending, scientific and technical publications, and intellectual property filing rates. The index is sponsored by WIPO, Cornell University’s SC Johnson College of Business in New York, and INSEAD, the graduate school of business with campuses in France, Singapore and Abu Dhabi. The report said that “China’s innovation prowess becomes evident in various areas”, with some of its greatest improvements coming in global research and development companies, high-technology imports, the quality of its publications, and enrollment in graduate education. “In absolute values, and in areas such as research and development expenditures and the number of researchers, patents and publications, China is now first or second in the world, with volumes that overshadow most high-income economies,” it read. The report stated that China’s rapid rise in the rankings over the last few years had been spectacular and that it showed the way for other middle-income economies, the South China Morning Post reports. China’s capability to innovate won’t be affected by the trade war with the United States, though such a war would pose a challenge to the international flow of knowledge, experts said. China is likely to become a leader in innovation in key emerging industries – boosted by its young talent, government support and extending internet penetration – according to panelists attending the Fortune Brainstorm Tech International Conference in Guangzhou, part of the Fortune Global Forum conference. For a long time, China was not perceived to be an innovator in some Western countries, according to Jay Walker, Founder of online travel operator Priceline. That’s because innovation, which fundamentally is about disagreeing with the old, was not seen as intrinsic to Chinese culture, Walker explained. But its dynamic and pioneering development in some emerging industries, such as e-commerce and high tech, is breaking that stereotype. China is capable of exponentially increasing its technological levels, with more tangible results from the e-commerce and online payment industries coming in the next few years, according to Walker. 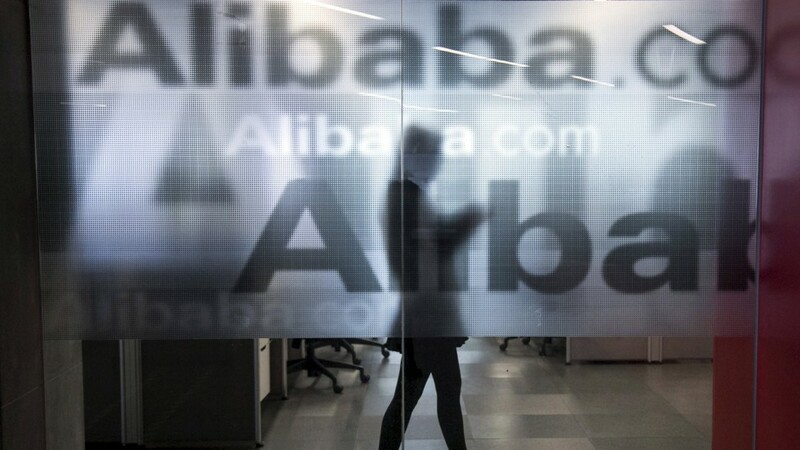 Seven Chinese companies, most of them focusing on the internet and e-commerce business, have been listed in the annual Fortune 100 Fastest-Growing Companies list published in September. “Young talent in China are making the waves,” said Roger Luo, President of DJI, a leading civilian drone and aerial imaging technology company. The average age of his company’s employees is around 27 years old. He said an environment that nurtured entrepreneurship had helped his company to grow. In the wake of government efforts that prioritized support for entrepreneurship, young people had more opportunities to turn their innovative ideas into reality, he said. A home-grown research and development revolution is also powering the innovation process in China, creating incentives for more innovation, according to Walker. Chinese President Xi Jinping told world business leaders in a congratulatory message that the country would continue to open up and improve its business climate to create more opportunities and make a greater contribution to the world. Xi said China would develop the open economy to a higher level, promote the Belt and Road Initiative, and push for a new pattern of all-round opening up. The three-day Fortune Global Forum has chosen “Openness and Innovation: Shaping the Global Economy” as its theme, drawing 1,100 participants, including senior executives from the world’s top firms such as Alibaba, Tencent, Ford, HSBC and JP Morgan. Canadian Prime Minister Justin Trudeau and Papua New Guinea’s Prime Minister Peter O’Neill addressed the opening session. Corporate spending on innovation and technology has been growing twice as fast in China than in the U.S. over the past two years, fueled by accelerating migration to cloud services. In a latest research report by U.S. investment bank Morgan Stanley, information technology (IT) spending by Chinese companies is projected to grow 11.2% this year, more that double their American counterparts’ 5.3% rise. The study, led by Equity Analyst Grace Chen, surveyed 126 chief information officers (CIO) in China and an undisclosed number of CIOs in the U.S.
Chinese companies spent 10.2% more on technology last year, against 4.4% in the U.S. The findings also show Chinese cloud and customer relationship management (CRM) software spending growing at its fastest pace in three years, and the winners of such acceleration are the “leading public cloud vendors, and select semiconductor suppliers”. Among Chinese cloud providers, AliCloud and Tencent are the industry leaders, while IBM, in partnership with Wanda, is the No 1 foreign supplier, ahead of Amazon Web Services (AWS) and Azure. Private-sector corporate investment will accelerate this year, recovering from the low levels of 2016. Lower real interest rates will stimulate investment in productivity-enhancing technologies, such as robots and cloud-based services, according to Gordon Orr, Senior Adviser at McKinsey China. “Our survey shows more than 30% of CIOs have adopted Alicloud, and that China will maintain a similar leading share over the next three years, echoing our positive view,” Morgan Stanley Analysts said. “What surprised us most, was CIO’s optimism about Tencent and Huawei in public cloud: Tencent ranks second with a 15% share predicted to rise to 23% within three year,” they added. Morgan Stanley also noted Huawei, which trails AliCloud and Tencent in public cloud, tops its competitors in private cloud, a result of Huawei’s competitive advantage in having a hardware business. In China, companies interviewed said about 34% of their workload is handled using the cloud. The analysts said that figure will be bumped up to 53% by the end of 2020, and more specifically, the percentage of workload on the public cloud is expected to rise from 20% to 29%. The size of the public cloud as a service market in China is expected to be valued at USD2.4 billion this year, up from USD1.8 billion in 2015, and then to grow to USD3.8 billion by 2020, the South China Morning Post reports.